Lifestyle & fashion in the palm of your hand! Inspire, get inspired and shop your desired brands. Stylios is a great resource to discover new styles and trends created by passionate fashion bloggers, fashionistas or your friends! Follow other fashion users and get inspired, discover new things or become a real fashionista and share your styles and findings with your friends and followers! Shopping with stylios is stunningly easy and fun to discover great fashion items! 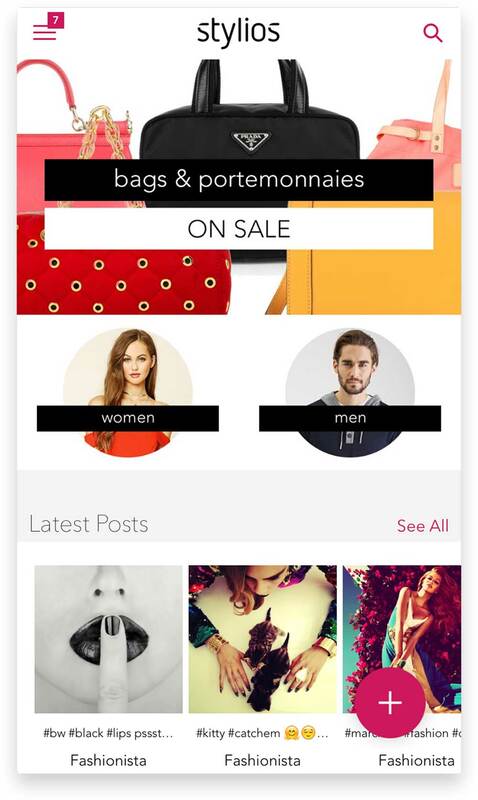 Stylios lets you find clothing, accessories, shoes, bags, jewelry and other items from many categories. Find over 300.000 products from selected popular online shops from Germany, United Kingdom and United States. With more than 4000 brands like ASOS, Nike, Givenchy, Prada, Topshop, Michael Kors, Dolce & Gabbana, Forever21, Miu Miu, boohoo, G-Star, Chloé, Valentino and many many more!